When you're looking for work footwear, you want it to be light and comfortable. There's nothing worse than having heavy feet while you're trying to get your job done. 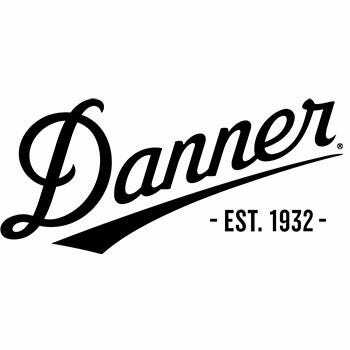 Try these Danner Men's 13858 Vicious Brown Waterproof Slip-Resistant Boots and find out just how l ... (see full details) (see specifications) #DNN13858. When you're looking for work footwear, you want it to be light and comfortable. There's nothing worse than having heavy feet while you're trying to get your job done. Try these Danner Men's 13858 Vicious Brown Waterproof Slip-Resistant Boots and find out just how lightweight your men's boots can be. This premium footwear is designed to act like hiking boots, but are perfect for the workplace. They give you a secure fit, and also allow your feet enough room to be able to breath and make quick movements while you work. A speed lace system lets you get these men's shoes on and off in a hurry. These Vicious boots are also manufactured to last and be tough against whatever your day might throw at you. They're abrasion-resistant and you can wear them whether you do inside or outside work. Also constructed to be waterproof, these brown boots are perfect for those days when you wake up and it's raining, but you still have to get the job done. The GORE-TEX lining in this footwear is engineered to keep your feet dry and comfortable, no matter what Mother Nature throws at you. And on those wet days, you can feel safe walking around because these abrasion-resistant boots have Vibram Vicious outsoles that are slip-resistant. Although this footwear appears to be for hiking, they're definitely for work. The midsoles are dual-density EVA midsoles and that means that you'll feel like you're walking on air. It makes them extra shock-absorbing and even more comfortable. These are so comfortable you can wear them on the days you don't even have to go to the job site. With nylon shanks and Danner Trailguard platforms provide lightweight and give you seamless support to provide a roomier fit in the toe boxes, while still offering a snug fit in the heels. Abrasion-resistant toe caps add durability to these brown shoes. When you wear these Danner Men's 13858 Vicious Brown Waterproof Oil-Resistant Boots, you'll stay dry, comfortable, and safe. Get your pair today and see what the construction of hiking footwear can do for your work footwear. We promise that your feet will be pleased! Danner Boots: Men's 13858 Brown Waterproof Vicious Work Boots is being added to your cart.